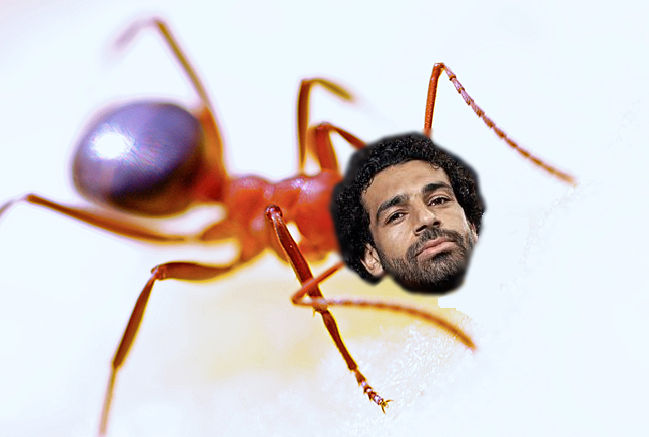 Mohamed Salah has been given the slightly tenuous honour of having a new species of ant named in his honour. Mostafa Sharaf, Professor of Ant Systematics at the King Saud University in Saudi Arabia, discovered the new ant during an expedition to Oman. Professor Sharaf has since named his find Meranoplus Mosalahi in a fairly transparent PR stunt tribute to his favourite footballer. The ant has since gone on display (?) at the World Museum in Liverpool, where Sharaf is the visiting professor. It’s perhaps just as well that his favourite Reds player isn’t Jordan Henderson, as that would be unlikely to draw as many curious Liverpudlian ant lovers through the museum doors. Does it live in water? You know, because Salah does a lot of diving…. Does it go to ground more often than other species of ant?